In my 18 years of being a Child Care Provider, I can honestly say that I have not always taken care of me. In fact, I have taken great care of my business and neglected my own body. On December 31, 2016, I began to have chronic back pain. Several days later, I could barely get out of the bed. I began to wonder, what is going on. So, I went to see a chiropractor and after a back X ray; the results indicated that I had arthritis in my lower back. I was devastated to hear that news and at the same time, I knew that I had to take better care of my body and stop stressing about small stuff. Since that diagnosis, I did some reflecting on my top priorities and I took some time off to rest. Moreover, the back pain that I was experiencing caused me to reflect on how I wanted to operate my business going forward. Furthermore, I created a self-care plan that has resulted in me being fully energized and back to my normal self. Today I am going to share with you 5 ways to take better care of you, because if you do not take care of you; you will not be able to experience the joy that comes from operating your very own business. Develop a relaxation schedule. Find some time daily where you sit and do nothing. Relaxation, helps to calm the mind. The more relaxed that you are, the more creative you will be. Save some energy for your family. When you give all your energy to your business, there is none left for your family. You know when you have used too much energy, because you are exhausted at the end of the day. So, choose what situations you give your energy to and save some energy for your family. Plan to have some Pamper Me days. Pamper me days could consist of: Spa days, manicures, pedicures, a weekend vacation, etc. I promise that after your pamper me days that you will feel refreshed and more energized. Eat foods that are healthy for your body. A healthy diet will provide you with the energy that you need to run a demanding Child Care Business. Move your Body! My chiropractor told me that the best way to fight arthritis is to move my body. When you walk or move your body more, it is great for your joints and your mind. If you feel sluggish or tired, go for a walk and feel the energy that comes from movement! I hope that this post has inspired you to take better care of you. In fact, I believe that if you take care of you, that you will have more stamina, an energized mind and you will feel great. So take care of you, so that you can take care of your Business! 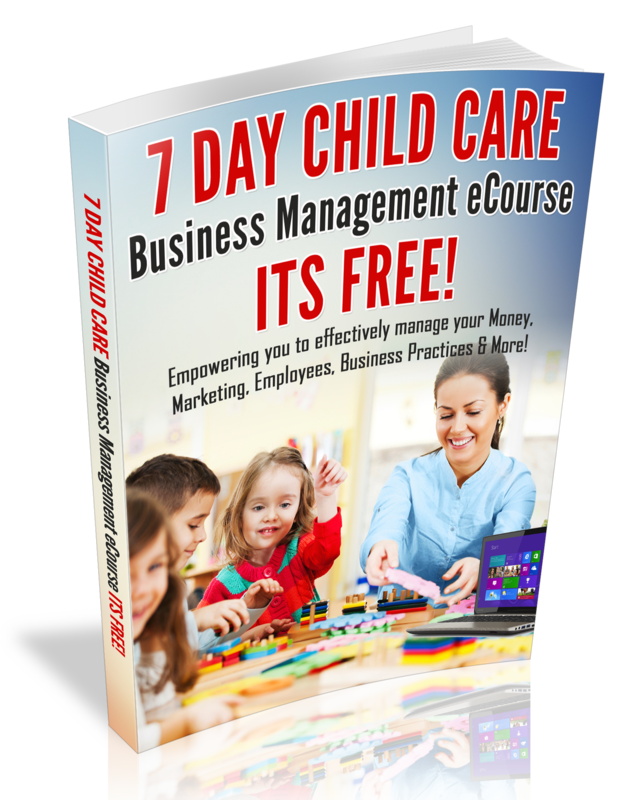 Having Challenges in your Child Care Business? Feel Stuck? Ready to Expand? Contact me today for Coaching! 3 Ways to Build Your Immune System to Fight Off Those Cold Germs! Several days before I wrote this blog post, I was assisting an 2-year old with potty training and then he coughed in my face! Oh My Gosh!!! I thought, I hope I do not catch his cold. Then he said, I’m sorry…”I love you Mrs. Morgan.” Awwwww! How cute, but I a was still worried that in 2-3 days I could have a cold. So I started loading up on supplements, getting plenty of rest and reminding my staff to load up on their vitamin C! Today I am going to share with you 3-ways to build your immune system, so that your immune system is strong enough to fight off those cold germs that may be brought into your home or center. Check out the article, 3 Fast ways to Build Your Immune system. Your health & wellness is a vital part of your business success. So Be well! Tip: Hand washing is a great way to stop the spread of germs! Listen to my audio about hand washing upon arrival.